Associating your business with an ABC membership automatically gets you a listing on EZLocal.com and gives you an edge over the competition with better placement in local search results across the Internet’s top search engines. Improve company visibility with the benefits of enhanced features and online promotions. 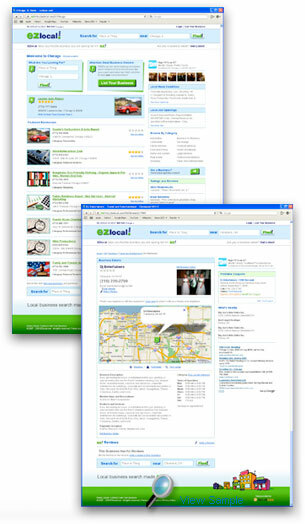 See how it works at the EZlocal website. Take advantage of this unique opportunity to bring your local advertising online. * All paid ABC memberships also receive the benefits of a free ABC membership. Register for an ABC account. We believe there are five key tools we can provide to help you maximize your business experience and get more customers quickly, easily, and inexpensively.